One of the most important elements in successful forex trading is money management. Structuring a trading plan without a prudent money management component, can seriously affect a trader’s profits and potentially put them out of business. An integral part of money management consists of responsibly determining how large of a position a trader should take in relation to the amount of funding in the account. This process is known as position sizing, and most experienced traders will incorporate clear rules governing this activity in their trading plans. Two of the most prevalent reasons that traders lose money in the forex market are due to their lack of proper risk evaluation and the propensity for overleveraging – taking on more risk than the size of their trading account can safely bear. Given the notable exchange rate swings that often occur in the currency market, assigning and using suitable lot sizes in forex trading risk management plans is essential. The following sections of this article will deal with explaining what a forex lot is, which forex lot sizes are most common and how you can use a position calculator to determine what size position to take given your risk appetite. Understanding this subject thoroughly will provide the basis for developing a suitable and responsible position sizing strategy within your trading plan. What is a Lot, a Lot Size and a Lot Denomination Currency? In the forex market, futures markets and other financial markets, the term “lot” specifically refers to the smallest available position size or unit that can be traded in those markets. The specific amount of currency assigned to a lot is known as a lot size. There is no formally established lot or lot size in the Interbank forex market, which operates as an unregulated over the counter market. As a result, Interbank forex transactions, and those performed by clients with Interbank participants, can occur in virtually any amount with no other established minimum. For their part, forex futures markets like the Chicago International Monetary Market or IMM tend to have one basic lot size for all transactions performed in a particular currency pair, although some futures exchanges are seeing the benefits of allowing smaller lot sizes for greater position sizing flexibility. Due to their standardization of minimum contract sizes, futures contract trades will generally need to be performed in an amount that is some multiple of that most basic or minimum forex contract size or lot size capable of being traded. In contrast to how lots are used in the currency futures market, the spot forex market which has a larger number of smaller retail traders, seems especially flexible in terms of the lot sizes available for market operators to trade in. Most online forex brokers will offer several different lot size options for traders to use, although it seems important to note that these variations are often governed by minimum account size restrictions in practice. Furthermore, the size of spot forex trading lots are usually denominated in the base currency that appears first in the quoting convention for a currency pair, which can be called the lot denomination currency. For example, the lot denomination currency would be Euros for the EUR/USD currency pair or U.S. Dollars for the USD/JPY currency pair. In the online forex market, the trading lot size offered by brokers can vary considerably, so retail clients enjoy a greater degree of choice in their minimum trading amounts. Furthermore, saying that you are “trading a 1 lot in forex currency pairs” can mean a very different thing to different currency traders, so you will probably need to be more specific about exactly how much currency each lot you are trading consists of. 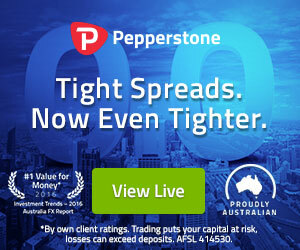 Also keep in mind that not all lot sizes are made available to all trading account types by online brokers, so make sure that a broker you are considering using will provide you with the lot size you are most interested in trading given the amount of money you have available to deposit in your trading account. Among online brokers, the term “standard forex lot” typically represents the standardized amount of 100,000 units of the base currency versus the amount of counter currency set by the exchange rate. The base currency is the first currency quoted in the currency pair, which would be Pounds Sterling in the GBP/USD pair, for example. Then there are mini lots. 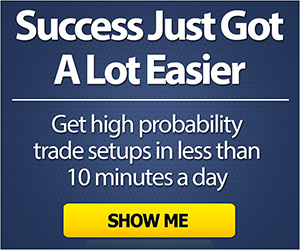 A forex mini lot will usually consist of 10,000 units of the base currency. This lot size seems especially popular with many retail forex traders since it offers a useful combination of position size flexibility and affordability. At the lower scale there is the forex micro lot, which usually refers to the standardized amount of just 1,000 units of the base currency versus the amount of counter currency determined by the exchange rate. Some online forex brokers even offer a smaller lot size than the micro lot in forex trades, which is known as a nano lot, and which is used for buying or selling multiples of 100 units of base currency. Retail traders with very small trading accounts who cannot afford to trade in larger sizes. Traders whose position sizing strategy requires greater flexibility in the specific amounts taken for each trade. Finally, if you are a retail trader and have a particular lot size that you prefer to deal in, then you will want to choose an online forex broker that supports that unit, and this consideration should feature prominently in your choice of which broker to partner with. In order for a trader to effectively manage risk and other related specifics, such as an appropriate degree of leverage for their trading account, determining the proper lot size to trade can be of utmost importance, almost as important as deciding which direction you should take a position in. The size of the lots you trade in, which can affect the size of the positions you take, will directly impact the effect of market moves on the profit or loss resulting from a trading position. The larger the minimum trading unit or lot size you use, the higher the impact each minimum sized trade will have on the overall account’s profitability when the currency pair makes a significant move. Basically, the key to effective risk management is to determine the optimum lot size for the amount of funds you have and are willing to put at risk in your trading account. Measuring volatility in the currency pairs that we are most interested in trading allows you to gauge market conditions better and make more informed decisions. In general, the more exchange rates fluctuate, the higher the market volatility is. Not only does volatility change from time to time in a particular currency pair, but volatility can also be different at any given time for the various currency pairs. Currency traders need to be aware of market volatility by having a means to assess it. One popular measure is historical volatility, which is related to the standard deviation of past price movements. Another more forward looking measure is observing the implied volatility in the option market for the particular currency pair you are trading. When it comes to volatility and lot size choices, traders need to be prepared to adjust their trading sizes downwards as volatility rises and upwards as volatility falls in order to take a more uniform degree of risk when they trade. Astute traders should also consider adjusting stop loss and profit taking orders appropriately to account for substantial shifts in market volatility. In his classic trading book, Trading in the Zone, author Mark Douglas presents an interesting analogy by which to visualize the impact of using larger or smaller lot sizes when trading. His example asks the reader to equate for a moment their trading lot size with the degree of support they might have underneath themselves while crossing over a valley, although perhaps visualizing a steep ravine might get the point across even better! Anyway, Douglas asks the reader to consider the impact of an unexpected event on their crossing of this valley. If a trader uses a small lot size relative to their trading account size, then that is like making the crossing over the valley on a broad and firm bridge. Even if you experienced a storm while on the bridge, you will still probably feel secure in your footing and unlikely to fall off the bridge. In this analogy, the storm is much like the sharp moves or other severe market turbulence that forex traders can experience from time to time. In contrast, you can consider the situation where a forex trader instead uses a large lot size in relation to the amount of money they have decided to put at risk in their trading account. This would be analogous to crossing that same valley on a tightrope wire, where storms — or even a brief gust of wind — can overwhelm you and potentially make you lose your footing and fall. This would be like taking such a large position that even a relatively small, but unexpected, adverse market move could send your account’s balance plummeting past the point where you can no longer expect to regain your financial footing. In summarizing this analogy, it demonstrates that the reason position sizing is so important for a trader’s risk management purposes is that it makes them think carefully about how much risk they can realistically afford to take, and not just about how much risk they can actually take based on available leverage. A useful trading tool to help determine the most suitable lot size to trade is the lot size calculator. This simple calculator tool is readily available online at many forex broker websites, and you can use most forex lot calculator programs completely free of charge. A clean user interface with input sections and computed numbers clearly marked to make your lot size calculation process more straightforward. Live market prices for all of the significant currency pairs so that you do not have to waste time by entering them manually. Instant computation so that you do not have to waste any time that may cause you to miss a potentially profitable trade. Available on Apple mobile devices so that you can calculate lot sizes and trade on the go. Another useful and closely related type of calculator commonly employed for risk management purposes that you can find online is a position sizing calculator. Your equity – This is the amount you have in your trading account. A pull down menu where you enter the currency you have your equity deposited in. Risk – This is how much you are willing to put at risk expressed in the equity currency you chose. % – This is the percent of your equity that you are willing to risk on this particular trade. Note that you can enter either a Risk amount or a %, but not both since entering one will compute the other. Buy/Sell – This is a pull down menu underneath the Trade heading where you can choose what direction you intend to take a position in. Currency Pair – This is another pull down menu under the Trade header that lets you select the currency pair you wish to trade in. Entry – Situated under the Position heading, this blank area accepts the spot rate at which you intend to enter into this position. Stop – This blank area appears next to the Entry field and accepts your chosen stop loss level or displays one computed from entering information into other blanks. Pips – You can either enter how many pips you are comfortable risking or have that amount filled in by your entries elsewhere on the calculator form. Some of the above items will be computed as soon as you enter them, but to finish calculating your results, you will need to just press on the navy blue button beneath the calculator entry fields. The position sizing calculator will then display your total contract size, pips value and leverage for this particular transaction you are contemplating. In addition, the screenshot image above shows that the calculator also displays those parameters for three scenarios where you are using forex lot sizes of 10,000, 50,000 and 100,000 base currency units respectively.